Vapefly Galaxies MTL RTA, which adopts inner cube set for 4 kinds of adjustable airflow, is equipped with innovative gearwheel airflow control with 8 kinds of permutations and combinations. Vapefly Galaxies MTL RTA, which adopts inner cube set for 4 kinds of adjustable airflow, is equipped with innovative gearwheel airflow control with 8 kinds of permutations and combinations. 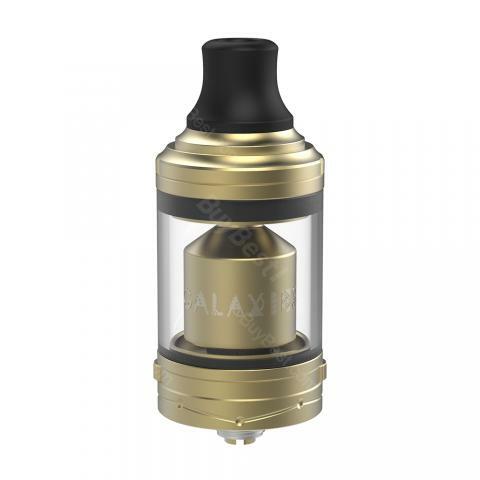 This RTA has 3ml capacity with an extra 5ml bubble glass tube to avoid refilling frequently. This RDA will not only offer perfect cloud and pure flavor, but also enjoyment of DIY. Good seller, good product, very fast delivery. Tank looks great. No problem with making coil and wicking. Leakage zero and flavor out of it is great. I have Berserker too which is great but is not better for flavor than Vapefly rta tank. I recommend it. Multiple airflow option, I like it very much. The perfect MTL vape! Продукт по качеству очень хороший! Отличные резьбы, легко разбирается, простота в обслуживании. Обязательно дополню отзыв в своем обзоре. Буду пробовать запускать девайс! ))) Спасибо большое моему любимому магазину BuyBest и его команде. Galaxies RTA must deliever perfect flavor, i'm eager to have a try.